I love Mexican food, especially enchiladas. They are my favorite to make at home and if eating out, my standard order is always combination enchiladas. Not only is it my standard but also a good basis to judge a Mexican restaurant. Of course, after all the chips and salsa, (no self-control there!) I’m pretty close to being full, so I eat my enchiladas, dip a few more chips into my beans, and always bring home the side of rice. In fact, I have done this so often from so many Mexican restaurants that 1 cup is the average serving! That amount is perfect for a batch of enchilada meatballs. In fact, wondering how to stretch that 1 cup of leftover Spanish rice into a meal is how I came up with this recipe for I couldn’t just eat my leftover rice and leave my hubby with nothing to eat! 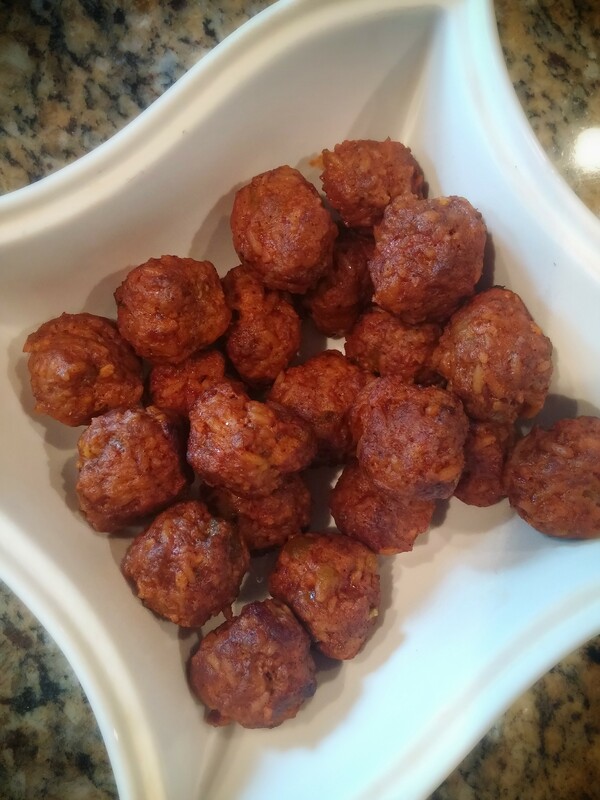 Enchilada meatballs are the perfect appetizer to bring to a party (be prepared for all the recipe inquiries!) and a good way to mix up the meatball scene. That is what I’m doing today. Why? 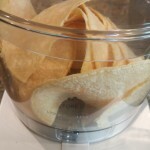 Well, I have a party to attend and I have leftover corn tortillas, Spanish rice, and enchilada sauce from last night’s dinner, crawfish enchiladas. 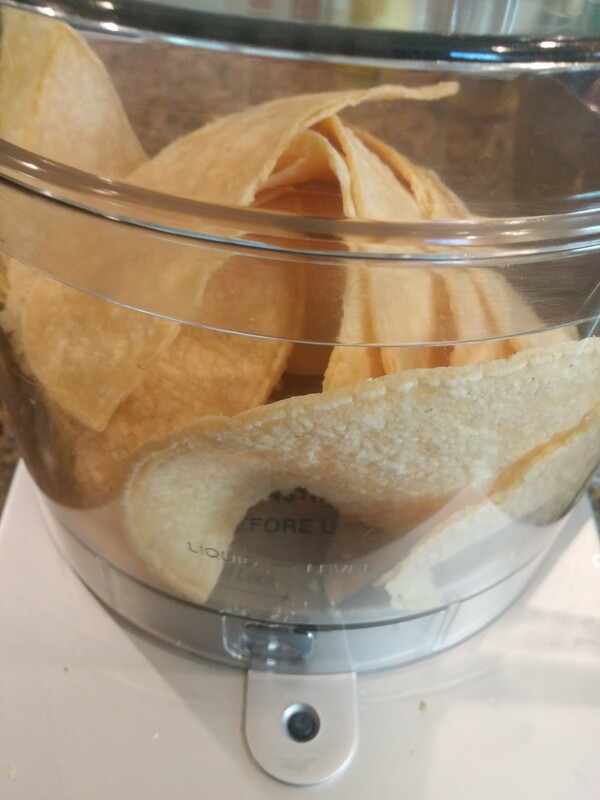 In a food processor, add 7-8 corn tortillas (white or yellow corn, I’m using yellow corn today). and grind. 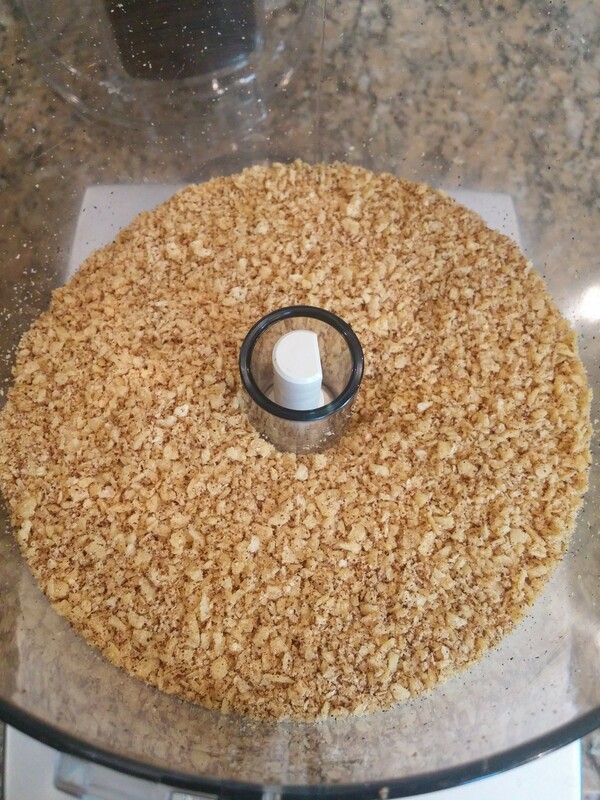 Add 1 TBSP taco seasoning and give it a quick whirl to mix in the seasoning. In a bowl, add 1/2 lb ground beef, 1/2 lb ground pork, 1 cup Spanish rice, 1 4-5 oz can diced green chilies, (or chopped jalapenos) 1/4 cup of Enchilada Sauce (You will need 1 cup total) and finally add the seasoned ground tortillas. Mix well. Let’s face it the only way to do that is to get your hands dirty-so there are no pictures of that step! 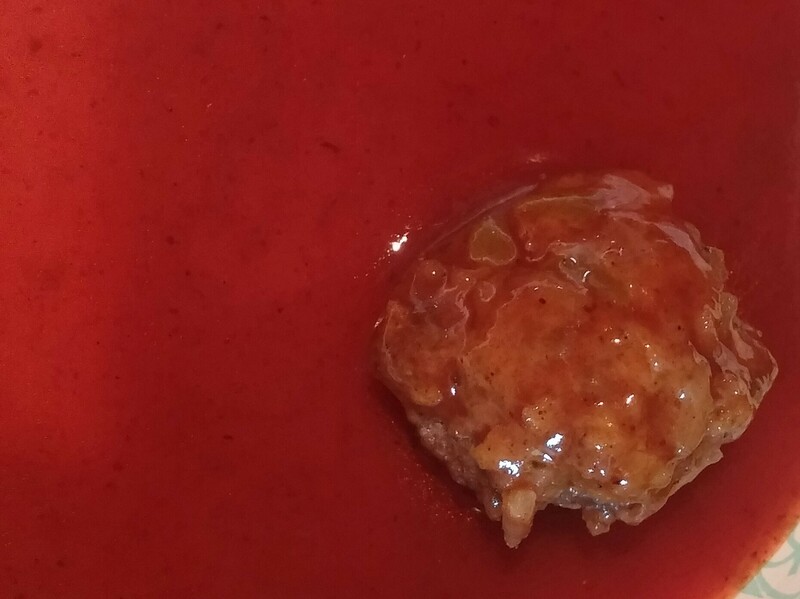 Form mixture into meatballs. 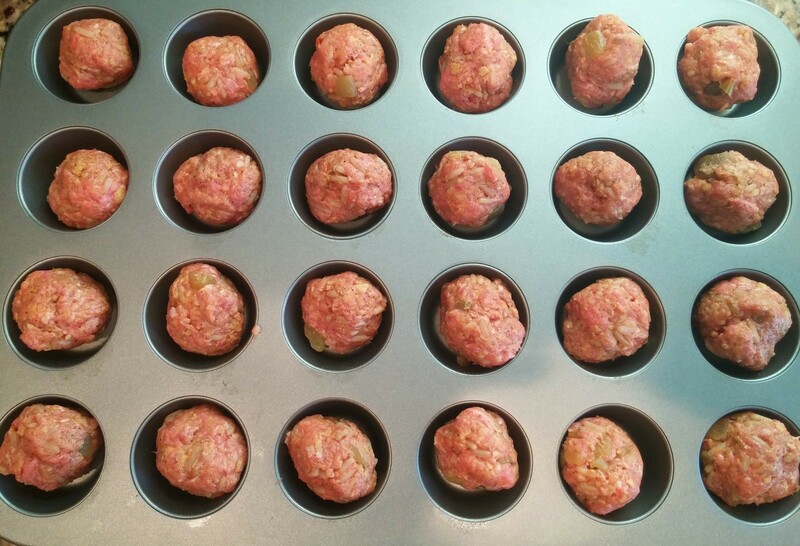 I use a heaping teaspoon for each meatball, roll, and put in a mini muffin tin. Bake at 400 degrees for 20 minutes. Let cool for 5 minutes. Put remaining 3/4 cup of enchilada sauce in a shallow bowl. 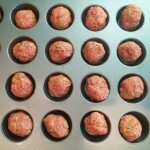 Roll each meatball in the sauce and put on a foil lined baking sheet or in the mini muffin tin. Broil for 5 minutes. That’s it! Each bite is like a bite of an enchilada! If you are keeping the meatballs hot in a covered dish, just add a little more enchilada sauce in the bottom of the pan. Not too much, because believe me they go pretty quick! I have to go pretty quick, too. 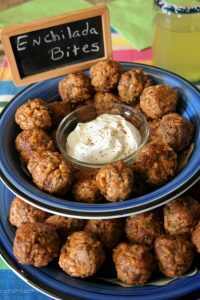 Got to get these Enchilada bites..meatballs to the party! This recipe makes about 36 cocktail meatballs. 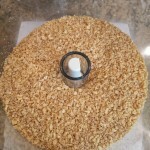 Recipe can easily be doubled or tripled! 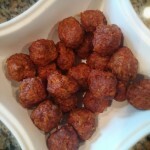 Put your TO COOK IS TO CREATE thinking cap on: What other ingredients could you add to the meatball mixture? Think about what else you enjoy in your enchiladas. Black Olives? Corn? Black beans? Onions? Like cheese? Garnish with some grated cheddar. How about serving them at a party with a dipping station of sour cream, guacamole, and salsa? Want to make it a meal? A friend of mine puts the meatballs on a hot dog bun and tops it with chili and cheese! Use the meatballs for a Mexican spaghetti dinner? Keep in mind ground chicken or turkey would work, too. FOOD FUN: Have you ever used the term, the “whole enchilada”? The term “the whole enchilada” refers to everything, all of something, or the whole situation. But did you know there was a festival each year in Las Cruces, New Mexico for 34 years called “The Whole Enchilada”? In fact, the World Record for the largest flat enchilada (three layers!) was broken time and time again by the same cook! He retired this year with confidence for his last record winner: A red chili and cheese enchilada consisting of 750 lbs of stone ground corn, 175 lbs of grated cheese, 75 gallons of red chili sauce, and 50 lbs of onions. Now that’s “the whole enchilada”!